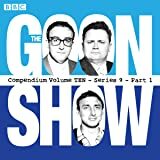 Twelve classic episodes of The Goon Show, plus the complete series of The Omar Khayyam Show, The Army Show, The Naughty Navy Show and a wealth of bonus material. 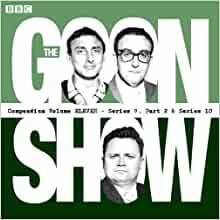 Immensely popular and hugely influential, the groundbreaking series The Goon Show changed the face of British comedy. Now, for the first time, this box set collection presents the episodes in chronological order as they were scheduled to be broadcast. This eleventh volume includes: Dishonoured – Again, The Scarlet Capsule, The Tay Bridge, The Gold Plate Robbery, The £50Cure, A Christmas Carol, The Tale of Men's Shirts, The Chinese Legs, Robin's Post, The Silver Dubloons, The Last Smoking Seagoon, The GPO Show, The Omar Khayyam Show: Ned Kelly, The Omar Khayyam Show: The Ashes, The Omar Khayyam Show: The PM's Trousers, The Omar Khayyam Show: The Flying Dustman; The Omar Khayyam Show: The America Cup, The Omar Khayyam Show: Waltzing Matilda, The Army Show, The Naughty Navy Show. 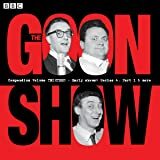 In addition, there are some rare bonus archive items, including interviews with Peter Sellers and Spike Milligan and a rehearsal sequence from the soundtrack recording of The Lost Colony. Two illustrated booklets tell the story of the show's development with reference to original archive paperwork, plus the history of the recordings themselves, while a third PDF booklet details the history of TV spin-off The Telegoons.Duration: 11 hours approx. 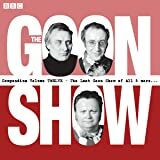 Twelve classic episodes of The Goon Show, plus the complete series of The Omar Khayyam Show, The Army Show, The Naughty Navy Show and a wealth of bonus material. 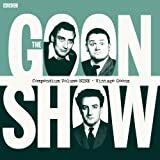 Born in India in April 1918,Terence Alan ‘Spike’ Milligan was a comedy writer and performer who created The Goon Show which ran from 1951 to 1960. Milligan soon established his own fresh style of comedy. A poet and a campaigning humanitarian, Milligan was universally acclaimed for his published war memoirs. Amongst his radio series were The Omar Khayam Show and The Milligan Papers as well as his television series such as A Show Called Fred, The Idiot’s Weekly Price 2d and later the Q series from Q5 to Q9. He died in February 2002. More of Kendall's brilliant restoration of the classic 1950's radio comedy.